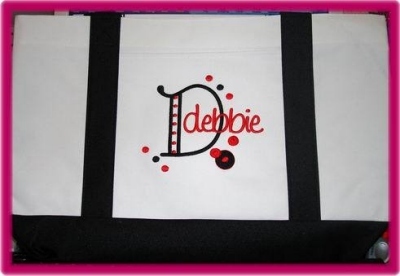 Showcase Gallery 2 : Fancy Fonts Embroidery, Home of the ORIGINAL "Trendy Dots" Font! 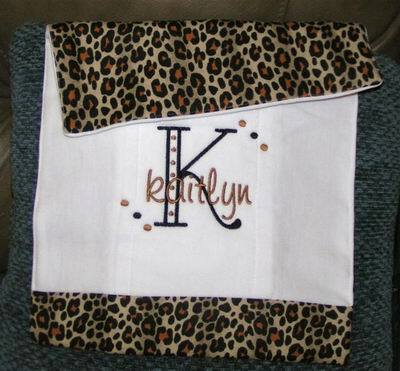 Many thanks to Cara Rockett for sending in these photos of these sweet projects using our Monogram Set #1 "Trendy Dots" collection. 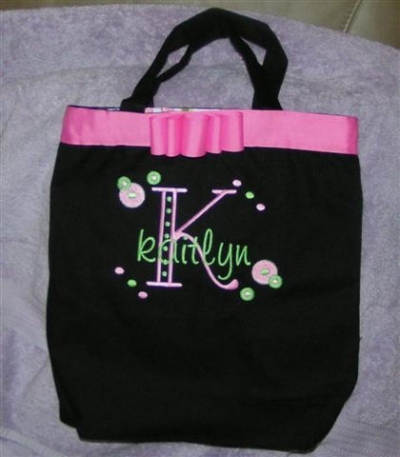 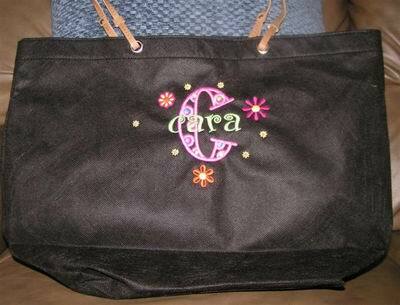 Many thanks to Michele for sending in a photo of this tote bag using our Monogram Set #1 "Trendy Dots" collection. 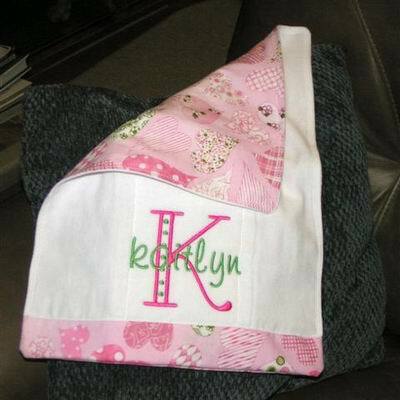 Many thanks to Cara Rockett for sending in these photos of these projects using our Monogram Set #15 "Funky Flowers" collection. 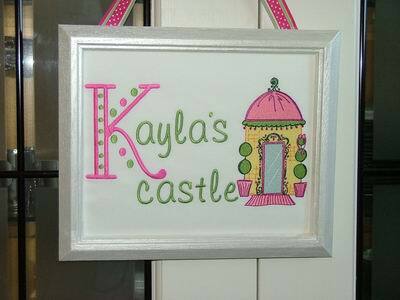 Many thanks to Judy for sending in a photo of this adorable hanging name plate using our Monogram Set #1 "Trendy Dots" collection. 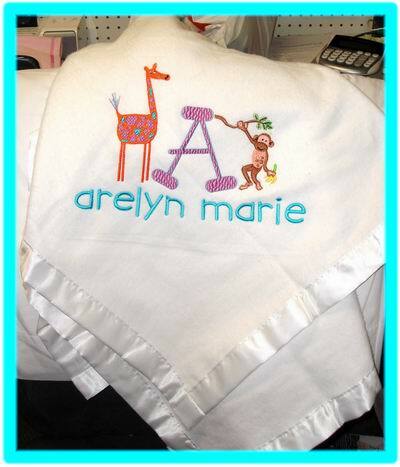 Many thanks to Michele for sending in a photo of this adorable baby blanket using our Monogram Set #34 "Zoo" collection.